Several of Sony’s 4K XDCAM S35 Models are set for a price increase tomorrow, September 15th. This includes the popular FS5, FS7, and Z150 cameras. Luckily, current prices will be honored on orders placed today! This includes pre-orders, back-orders, and lease applications! Contact us immediately if you have any questions; we’re literally counting the hours until these low prices disappear. One of the main features of the SELP18110G is its design and construction. Sony’s Smooth Motion Optics minimizes focus breathing, axial shift, and focus shift. These problems are commonly found on many DSLR lenses, but the SELP18110G helps to alleviate these complications. 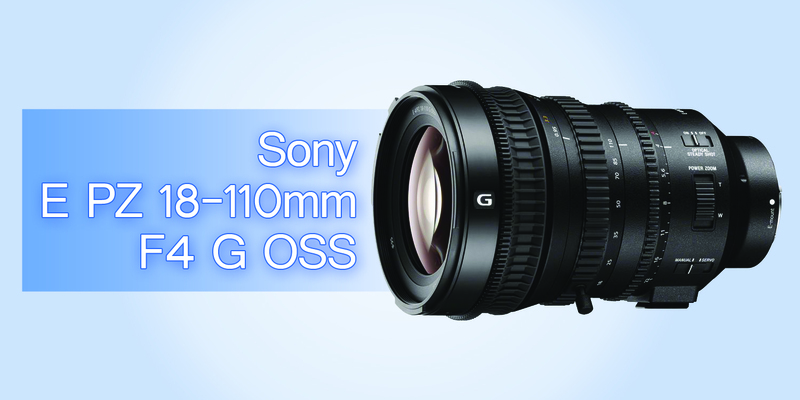 The 18-110mm zoom offers a wide range of coverage frequently used for Super 35mm/APS-C 4K productions. It features lag-free manual zooms and smooth powered zooms without overshoot and undershoot. The direction of the zoom ring is switchable, and users are able to obtain a smooth, slow powered zoom with ease. The SELP18110G will be available soon for a retail price of $3499.99. Preorder yours from Texas Media Systems today! 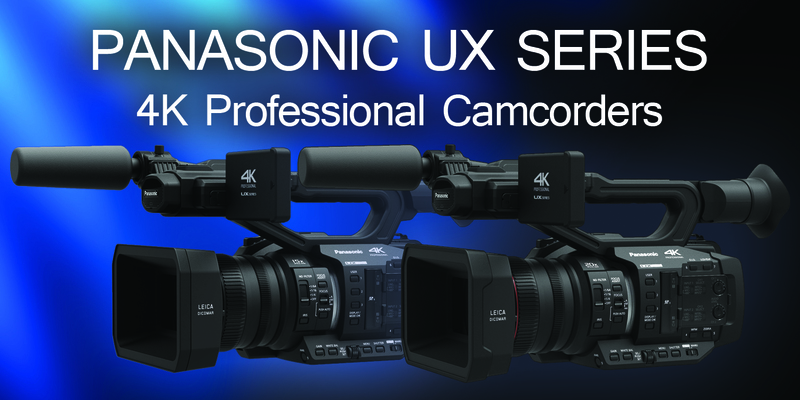 Panasonic has unveiled the UX Series of Professional 4K camcorders. This new series features two models: the AG-UX180 and the AG-UX90. Both cameras utilize a 1-inch CMOS sensor, and their small form factors makes them extremely versatile for any type of shooting situation. The AG-UX90 is considered the standard model in the UX Series line-up. It features a wide angle 24.5mm lens with optical 15x zoom and optical image stabilization. The AG-UX90 has the ability to record UHD (3840×2160) 30p and Full HD (1920×1080) at 60p. Dual SD Card Slots enable relay/simultaneous record, as well as UHD/FHD Dual Codec Recording. The AG-UX90 also features three manual rings (focus, zoom, iris), focus assist, user buttons, 3.5 inch touch panel LCD, LCD viewfinder, XLR audio input and HDMI output. Seen as the premium model in the UX Series, the AG-UX180 has a wide angle 24mm lens with optical 20x zoom and optical image stabilization. User can record 4K 24p, UHD 60p, FHD 60p, HD 120fps slow motion, FHD VFR recording (from 2 fps to 60 fps), and IR (infrared) for shooting in dark areas. Dual SD Card Slots enable relay/simultaneous/backup recording, as well as UHD/FHD Dual Codec Recording. The AG-UX180 features 16-axis Color Correction, three manual rings (focus, zoom, iris), focus assist, user buttons, 3.5 inch touch panel LCD, LCD viewfinder, TC PRESET input/output, wired remote control, XLR audio input and 3G-SDI/HDMI output. 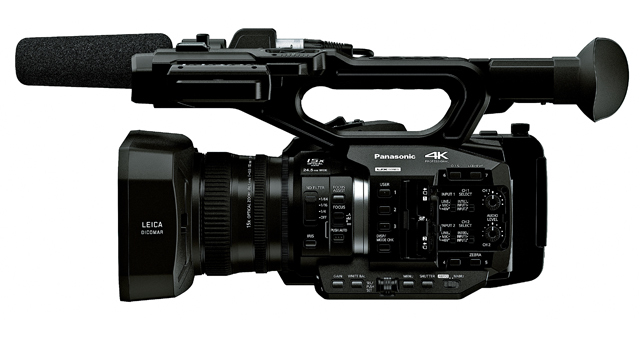 The Panasonic AG-UX90 is scheduled for release in November 2016 for $2,095.00. The AG-UX180 is scheduled for release in December 2016 for $3,495.00. Pre-order yours from Texas Media Systems today! Lease the AG-UX90 or AG-UX180 at 0% for 12 months! Zeiss announced the Lightweight Zoom LWZ.3 21-100mm, a cinematic lens with a small and light form factor that maintains sharp and consistent focus. With a rugged, splash-proof housing, the LWZ.3 is designed for any type of shooting situation. Made for Super 35 formats, the LWZ.3 covers a wide range of focal lengths ranging from 21-100mm. The cine-style gears on the focus, iris and zoom rings allow filmmakers to attach follow focus and zoom controls, simplifying production and allowing for more precise focus pulling. The LWZ.3 features a parfocal lens design which alleviates focus shift while zooming in and out. Obtain high contrast, saturation and deep blacks thanks to the Zeiss T coating that reflects stray light. Zeiss’ Lightweight Zoom LWZ.3 features an interchangeable lens mount, allowing users to switch between EF, E, PL, MFT and F Mounts. Expected shipping date for the LWZ.3 is January 2017 with a retail price of $9,900. Pre-order the Zeiss Lightweight Zoom LWZ.3 21-100mm Lens today from Texas Media Systems! 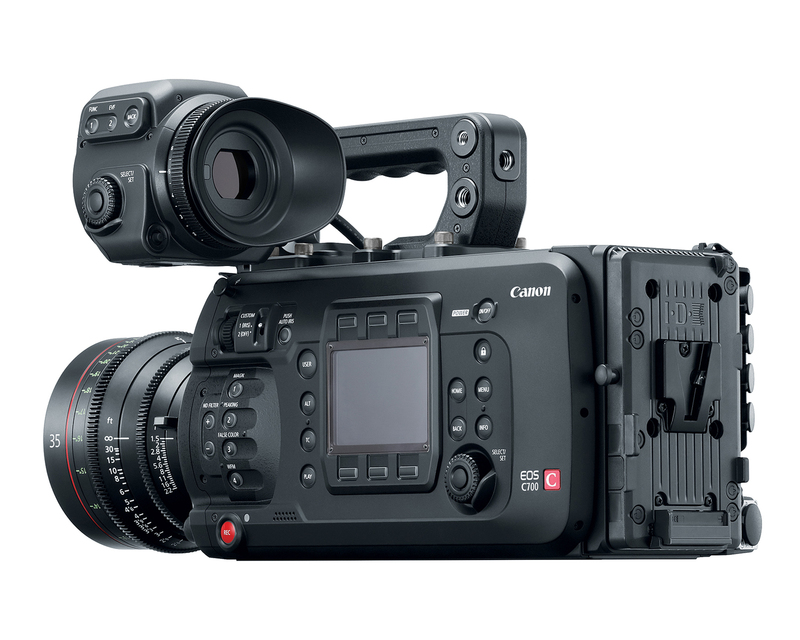 Canon announced today their new flagship cinema camera: the EOS C700. This shoulder-mounted cinema camera features a Super 35mm 4.5K sensor and 15 stops of dynamic range with rolling shutter. There is also a global shutter option for the C700 with 14 stops of dynamic range (global shutter available for PL Mount only). Canon’s famous Dual Pixel AF is present in the C700, along with built-in ND Filters. 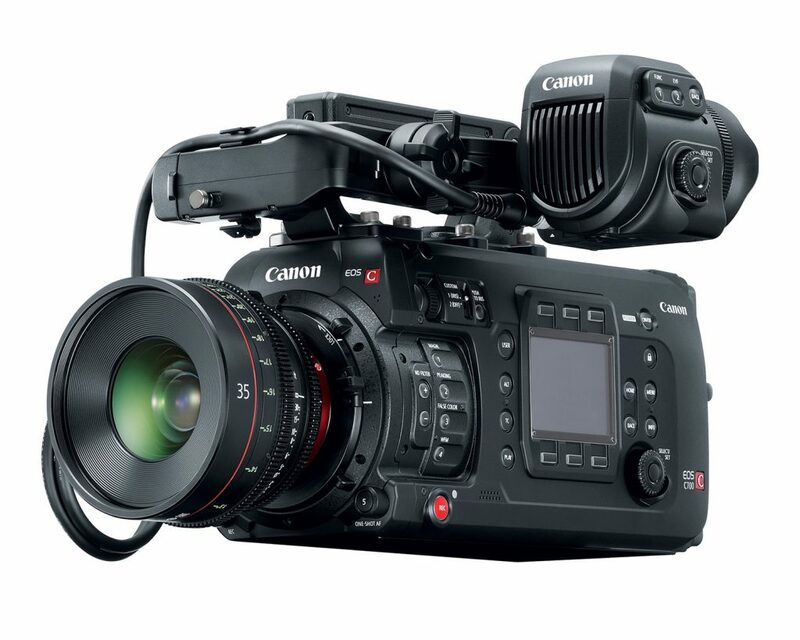 The Canon EOS C700 is capable of internal 10-bit 4K recording up to 59.94 in XF-AVC. For the first time in a Canon camera ProRes is a recording option, giving users 10-bit 422HQ in 4K at 30fps and ProRes 4444 at 12-bit in 2K. The C700 internally records to CFast 2.0 Cards, and an SD card slot for recording XF-AVC proxies, photos (JPEG), custom pictures, metadata, menus and more. There is also an optional Codex CDX-36150 external recorder that attaches to the back of the C700 via the V-Mount plate. Recording to the CDX-36150 enables 4.5K RAW up to 100fps and 4K RAW up to 120fps. Users can also record 4K ProRes at 60fps and 2K/HD ProRes up to 120fps in 10-bit, along with 12-bit ProRes 444 XQ at 60fps. Canon Log, Canon Log 2 and Canon Log 3. 12V and 24V power outputs. Optional Canon EVF-V70 OLED High Resolution Viewfinder. Optional Canon SG-1 Shoulder-Style Grip Unit. 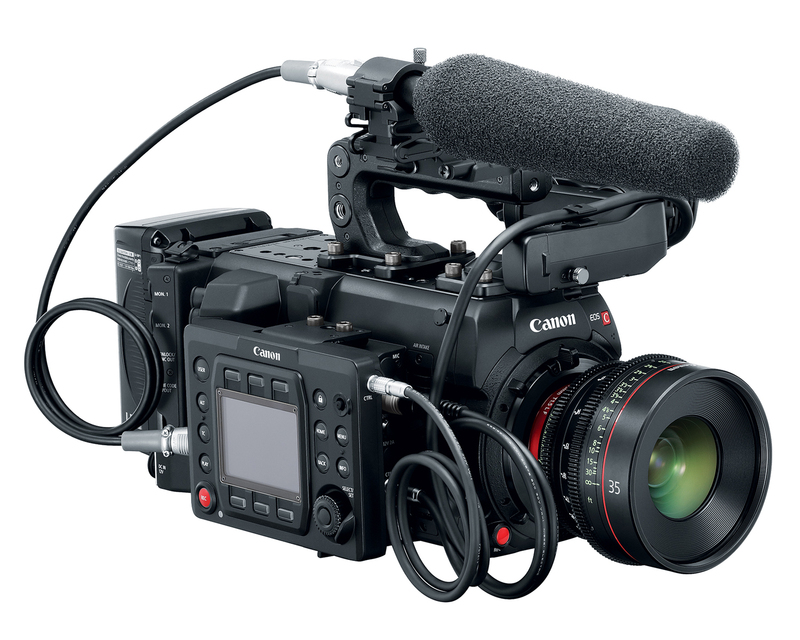 The Canon EOS C700, C700 PL and C700 GS PL are expected to be available in December 2016. Pre-order from Texas Media Systems today! See below for C700 models and pricing.